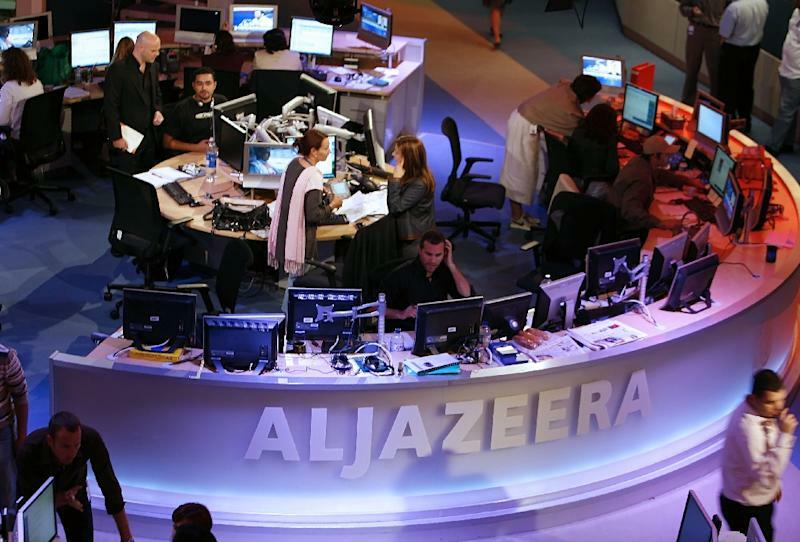 Riyadh (AFP) - Saudi Arabia on Monday shut the local office of Qatar's Al-Jazeera global news channel after the kingdom and other Arab states severed ties with the emirate. "The Ministry of Information closed the office of the Al-Jazeera channel and withdrew the licence it was granted," the official Saudi Press Agency reported. It accused the channel of promoting "terrorist groups" and supporting rebels in Yemen, after Riyadh and some of its allies including Egypt cut diplomatic relations earlier Monday over Qatar's alleged support for groups including the Muslim brotherhood. Separately, beIn Sports, a subsidiary satellite network of Al-Jazeera, went offline in the neighbouring United Arab Emirates, said an official in the UAE which was also among those to cut ties with Qatar. "We are getting a lot of calls regarding this... (the channels) are currently off air in the UAE," said an official at the DU telecommunications company, without elaborating as to why. Cairo has accused Al-Jazeera of supporting the Muslim Brotherhood which it blames for violence after Egypt's military ousted the movement from power in 2013. Three Al-Jazeera journalists, including a Canadian and an Australian, were detained in Egypt between 2013 and 2015, triggering international protests.